7/1-7/7 – Jazz Maui events – Some free concerts, mostly on the West Side. Free Fourth of July Concert, Lahaina. 7/4 - Fourth of July Farm Tour at Sacred Earth Farm, Haiku. 10 am and 4 pm. By donation. 7/4-7/7 – Makawao Rodeo. One of the biggest upcountry events. Some rodeo days are free, others have an admission fee. Make sure to click on “See more…” to see the schedule for Friday, Saturday, and Sunday. 7/5 – First Friday in Wailuku, Town Party. 7/5 - Hana First Friday! First ever First Friday in Hana to be celebrated at Mile marker 31. Also, there's a flyer on Flyers Up. 7/5 - Astronomy lecture: "The Orbital Perspective" by astronaut Ron Garan on his time in space. Institute for Astronomy, Pukalani. 6:30 pm. 7/6 – Makawao Fourth of July Parade. 9 am. Free. Read about the parade two years ago. 7/6 – For the Love of Maui (Fundraiser to Support Community Work Day), Kapalua. $25 Community Work Day is an amazing nonprofit and organizes the Art of Trash, offers free paint, has school garden projects, etc. 7/11 - All About Tomatoes - Lecture on growing tomatoes in Hawaii (actually a very tricky thing). Lumeria Maui, Makawao. 5:30-7:30 pm. $15. 7/19 – Third Friday in Makawao, Town Party. Featuring Maui Classic Cruisers and Rock n Roll. Free. A small section of the pie-heaped table at the Kula Pie Tweetup last summer. ***7/20 – Kula Pie Tweetup – Details TBA in early July – visit Kupu Maui. This is an amazing and fun pie potluck. *** Free. 7/20 - Maui Singalong Circle. Folk song group. Informal, free. 3-4:30 pm. Sacred Garden of Maliko, Makawao/Haiku. 7/20 - Sensationism - Artist reception and video showing of a film on Maui artist Taryn Alessandro at Turnbull Studios, Paia, 5 - 8 pm. If you missed the short film, it's on youtube. Here's a recent post on Taryn by Maui Made Blog. 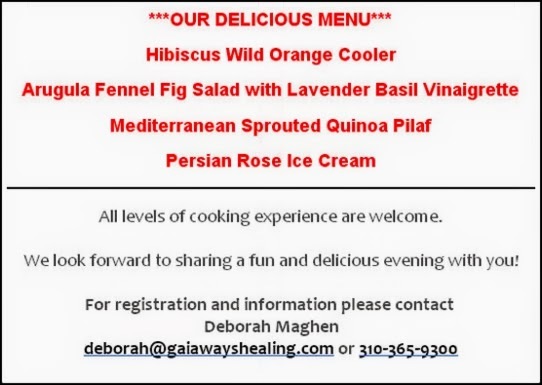 7/23 – Maui Farmers Union Potluck and Meeting. Free. 7/25 - Power of the Soil. Talk by Graeme Sait. Sait will present on multiple aspects of soil, human and planetary health, including numerous health tips and strategies. Graeme Sait’s presentations have been described as life changing. Free. 6:30 -9:30 pm. UH Maui Campus, Pilina Building's Multi-purpose room. 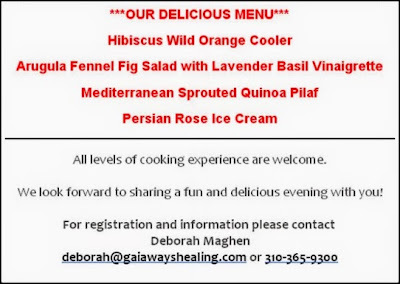 7/25 - The Art of Cooking with Essential Oils with Deborah Maghen. Wailuku, 6-8 pm. Vegan, raw, gluten free. $25 (forgot to mention that earlier!) Contact info in the box below. 7/26 – Fourth Friday in Kihei, Town Party. Free. 7/27 - Niu (Coconut) Festival at the Grand Wailea. 4 - 8 pm. Learn all about coconut usage and history. 7/27 - Family Day at the Hui No'eau Visual Arts Center. 10am - 2 pm. Makawao. Scavenger Hunt (1st 50 participants only), face painting, kite flying, art workshop. 7/27 - Hanzawa's Store Grand Re-Opening, 10 am - 2 pm. Haiku. Give aways, live music, pony rides. 7/28 - Beach Clean up at Kanaha Beach near campsite #1 by Opala Holla. 9:30am - noon. 7/30 - Ag4Maui. Learn about Agricultural and Farming Opportunities on Maui at UH Maui Campus. 6 pm. 7/31 - Growing Roses in the Home Landscape. Roses are tricky to grow on Maui. Bugs, humidity, different diseases. $15 at Lumeria Maui, Makawao. 5:30 - 7:30 pm. P.S. A friend's partner's mother (this is Maui...) needs a kidney. Her friend in Pennsylvania has one to donate. Here's the link, if you're interested in donating any amount.